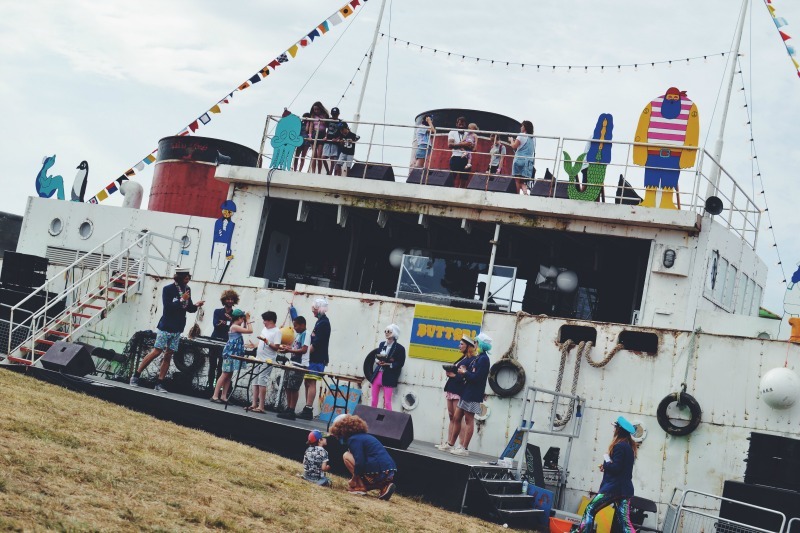 This year the theme at Camp Bestival was setting sail. Leading up to the event we’d experienced one of the hottest Summers ever, so we were sure we’d have a super sunny time. 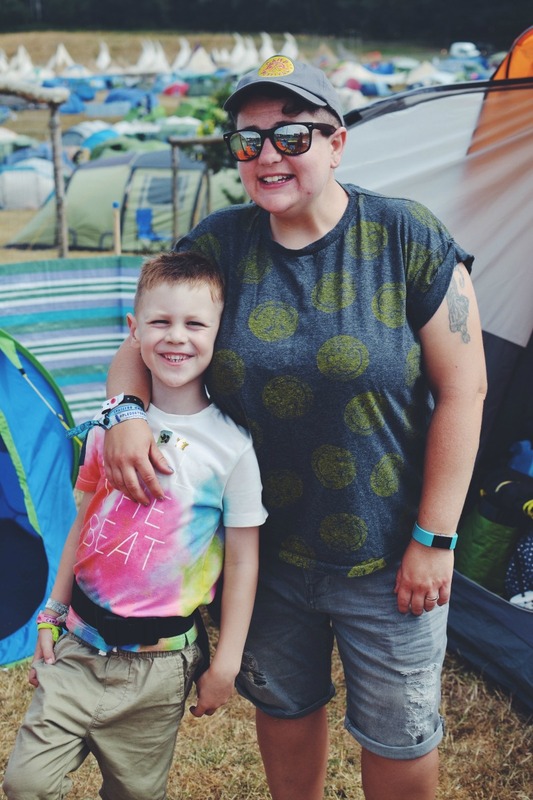 We also knew the British Summer was not to be trusted, so despite packing 3 roll on sun creams, we also packed our wellies, rain coats and an Ikea bag to pop wet and muddy clothes in. The weekend started out super hot. Thursday is traditionally known as the set up camp and relax day, so we arrived super early to secure our usual pitch. General camping had a bit of a shift around this year, so our pitch had moved ever so slightly, but was still close to the action without being right on top of it. The first thing we noticed was how different the layout was. It was nice and open and inviting and spread out across the different areas rather than sitting closer together. People don’t seem to like change, but I am not one of those people. I love change and found it interesting to explore and discover what new attractions the field held. It was interesting to see the World’s Biggest Bouncy Castle now in the middle of all the action not too far from the Castle Stage and a new addition, The HMS Camp Bestival providing a stage for interesting acts we’d usually not notice around the site. We spent the evening wandering around the sections of the site that were available to (some parts remain closed until Friday morning), before heading to the tent to cook the hotdogs we’d packed. 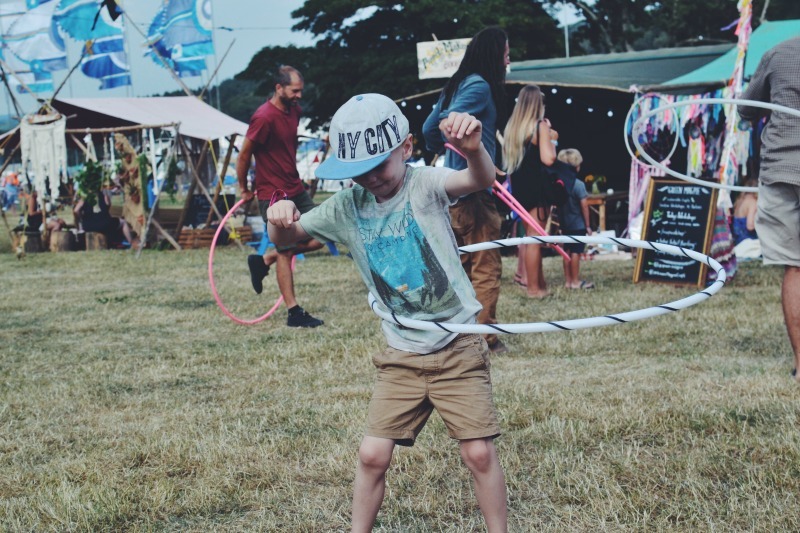 After eating we popped back out for another wander and discovered the Caravanserai, in all the years we had been attending Camp Bestival we had never stepped foot in there, but now wish we had as it was such an experience. Imagine drinking your cider as the sun goes down, listening to some hip tunes, all whilst sitting in a vintage fairground waltzer seat. Friday is when everything really kicks off. We were up early, thanks to someone preventing us from getting any sleep (will be in another post). 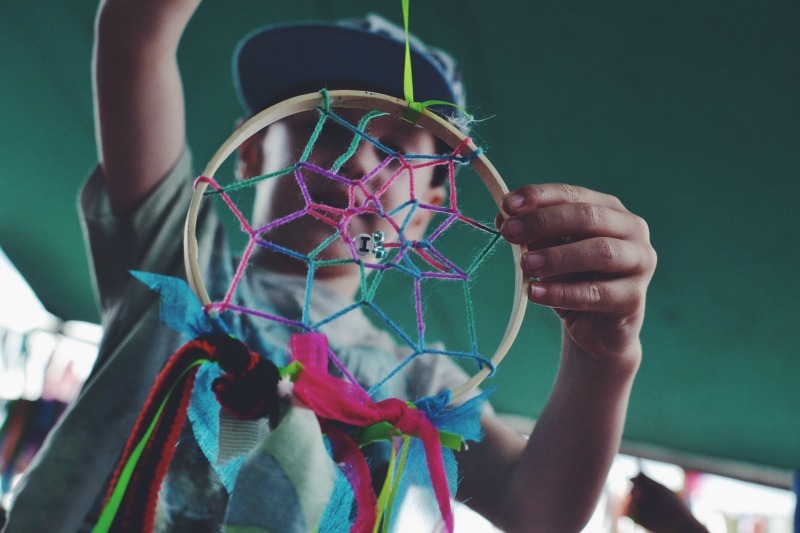 We had breakfast at the tent and headed out to sign M up for some crafting at the Spinney Hollow. Last year M made a sword on his birthday, so this year he decided he wanted to make a wand. The queue for signing up for activities at the Spinney Hollow is LONG, but they handed out biscuits and got the kids flossing, so the time passed quickly. The vibe on the site was nice and relaxed with many people in sea themed costumes. It was really lovely to wander round and capture acts we’d planned to see based on the time table in the programme, as well as stumble across performances or activities M could participate in. Andy and the Oddsocks were the highlight of our Friday, putting on a fantastic performance in the Big Top. We’d caught their act last year and loved it, so it was great to see them perform all their greats, with many parents singing along to every word. After we’d sung our hearts out to dancing green aliens, it was time for M to partake in some Wand Smithing. 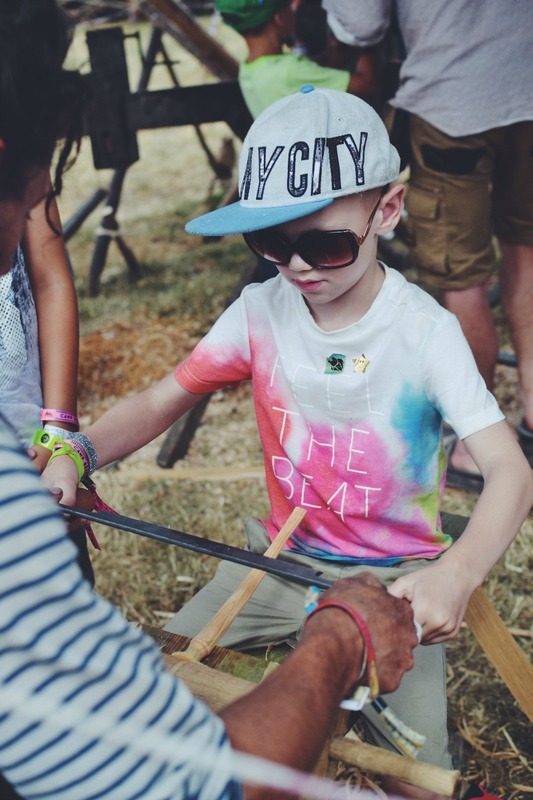 The crew at Spinney Hollow are great with kids and let them get their hands on saws and sharp tools that help them create rather epic items out of wood. The wand M created was a unique design and is something I hope he treasures forever. Our evening’s entertainment was Sara Cox and the Sounds of the 80’s which got everyone up and dancing in front of the Castle Stage. My favourite moment during her set was when red balloons were released into the crowd as we all danced and sang to ’99 Red Balloons’. After Sara Cox we stayed at the Castle Stage to see Rae Morris sing a special song that got me through the London Marathon. It was great to hear her live and have fallen in love with her songs a little more after seeing her. 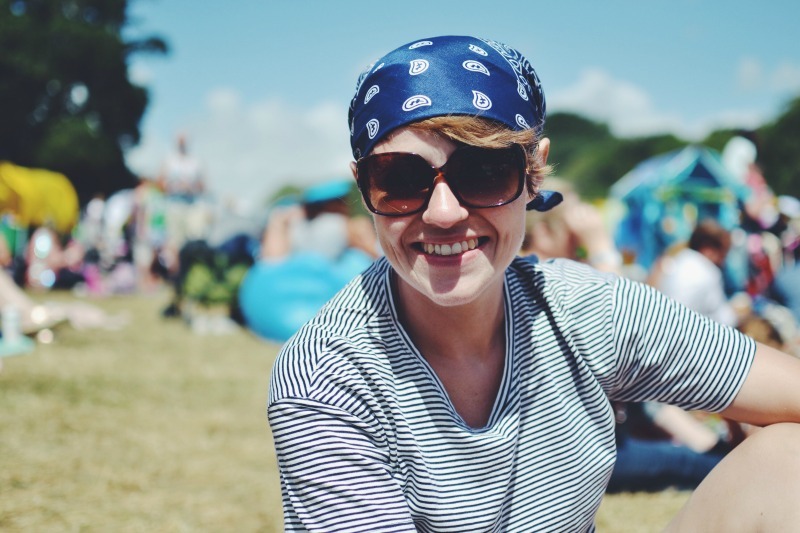 We were pretty tired after Rae Morris, so we headed back to the tent, later discovering we missed Mary Berry playing drums ( I know, so random). In the early hours of Saturday morning I was woken by a mega storm. Our tent stood strong, but it was super noisy. By 7:30am I was cooking bacon wraps and putting the kettle on. 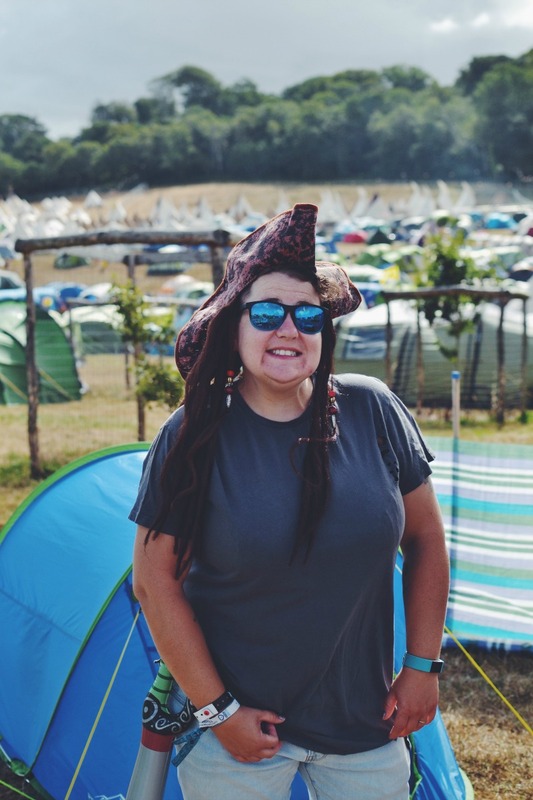 We had no idea it would be our last full day at Camp Bestival, so we decided on what we were going to do based on the predicted weather for Sunday. We donned our Pirate costumes (Saturday is fancy dress day) and prepared for a fab day. We headed into the Dingly Dell so that M could add to the rather ace creation being made by the Woodland Tribe. We also met up with some lovely folk we’ve known off Twitter since before M was born! Saturday ended up being quite a relaxed day of discovering random acts as we navigated the site. It also started to turn quite cool and spontaneous showers caught us out a couple of times. 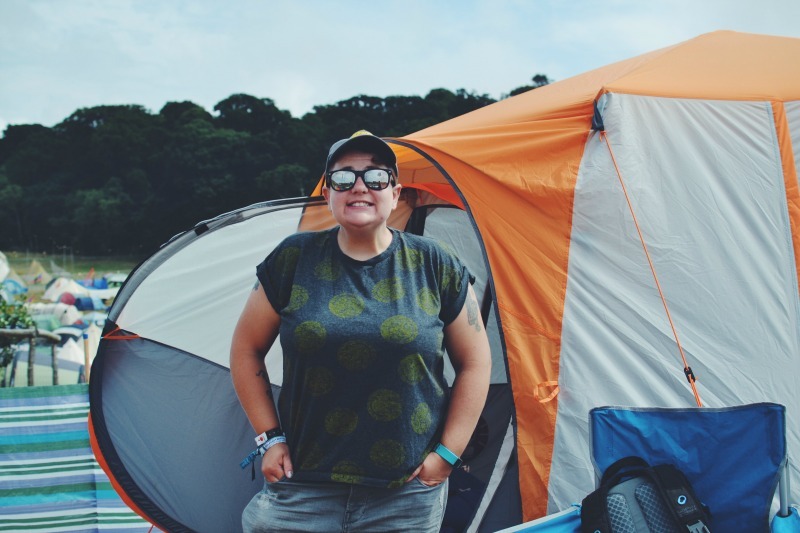 Luckily a quick trip back to the tent prepped us for the change in weather and we were back on site dancing in our hoodies and waterproofs. We were all looking forward to the evening line up on the Castle Stage, so we got ourselves comfy, bought some churros and settled in for some singing. The atmosphere in front of the Castle Stage was fantastic as Clean Bandit took to the stage and pulled off an epic set. 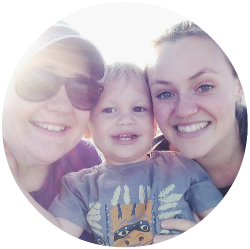 It was great dancing to the sounds of Clean Bandit, watching our little man throw some shapes and cartwheel across the grass. As we made our way back to the tent, it was clear to see the wind had picked up quite a bit. Our tent was noisy and the sides were shifting, but due to some Aldi rock pegs, it wasn’t going anywhere. Which wasn’t the same for many around us. When we woke on Sunday morning the site was quite apocalyptic. The winds were raging and broken tents surrounded us. Thankfully our Coleman Octagon Tent was standing up to the winds very well. So we sat tight and waited to here if the site was safe to open. 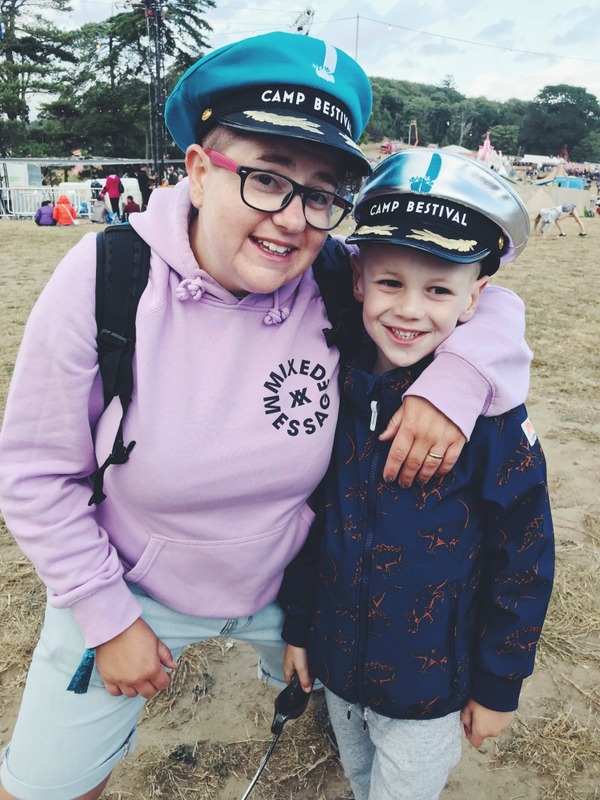 Unbeknownst to us some security hoarding had taken flight in another camping site and some of the stage had been affected by the wind, so Camp Bestival took the very best decision to cancel the final day on the grounds of everyones safety. We managed to get our tent down and make contact with Festaxi to take us to our car. 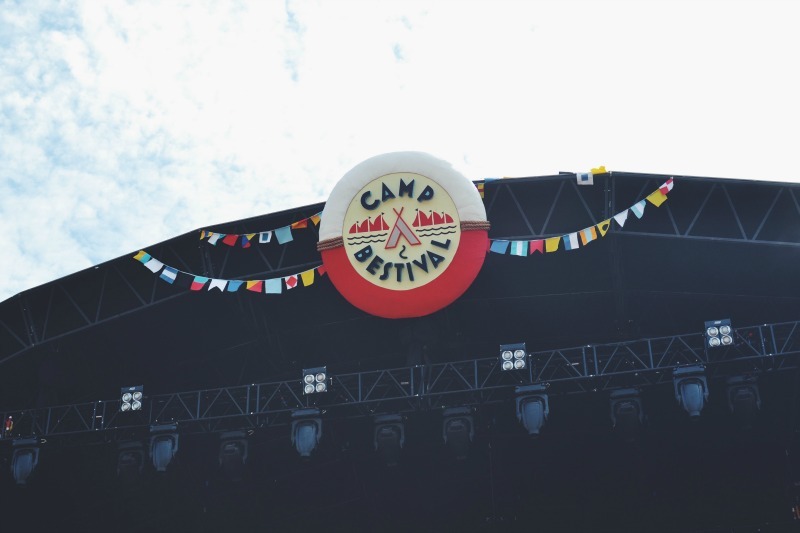 It was an early end to our weekend, but it was a Camp Bestival full of some fantastic memories. 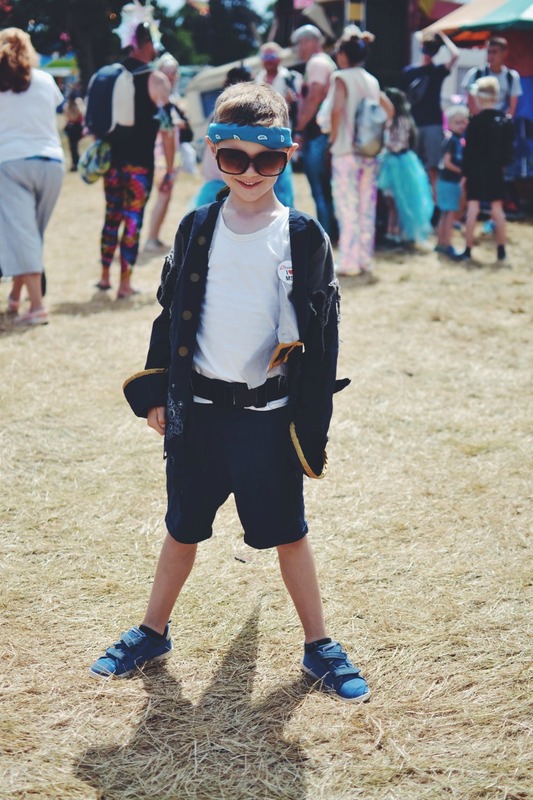 Each Camp Bestival has seen our little dude become a year older, so it always holds a special place for us as we treat it as his birthday weekend. He is still talking about the fun we had and we can’t wait until next year. 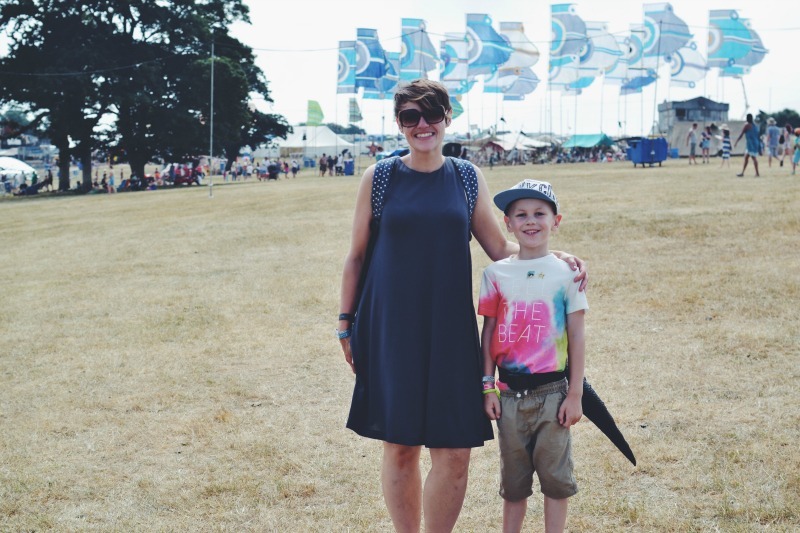 We are official Camp Bestival bloggers and received a family weekend pass in return for our honest experience. Tickets for next year are on sale now! 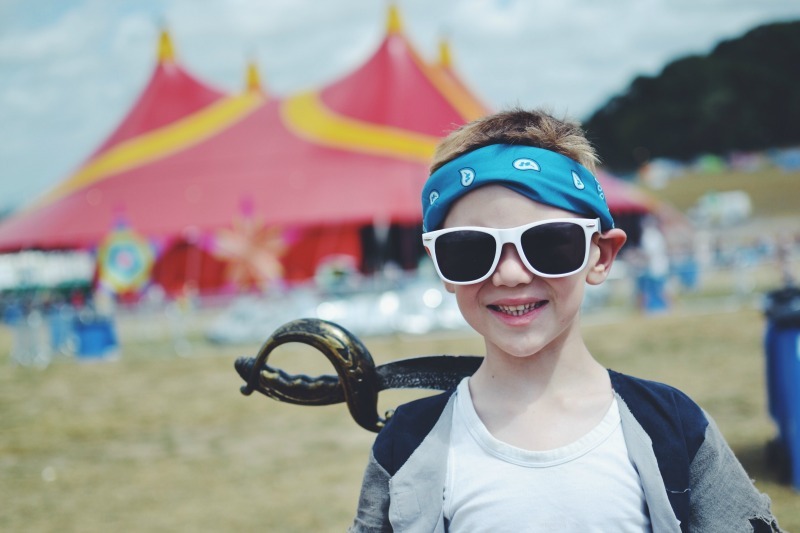 It’s THE best family festival, so go get your tickets before they go. 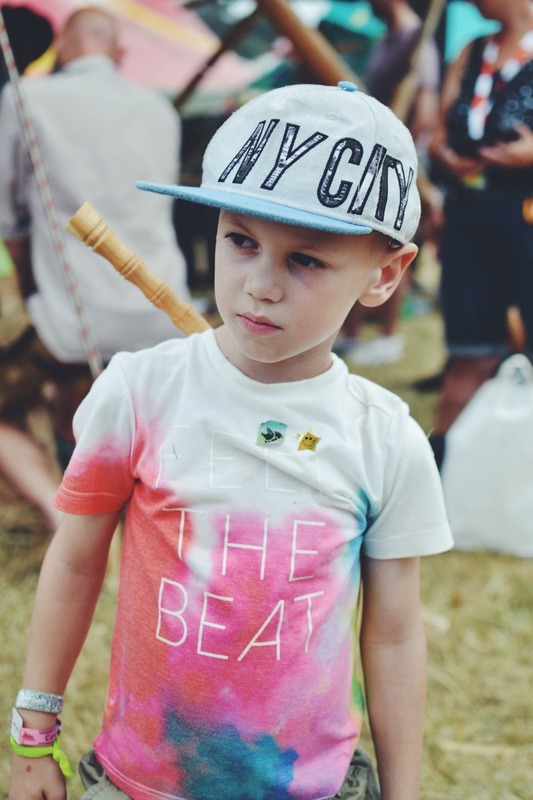 We were gutted we never made it to the Dingly Dell this year – we were saving it for our last day (*sob*) . 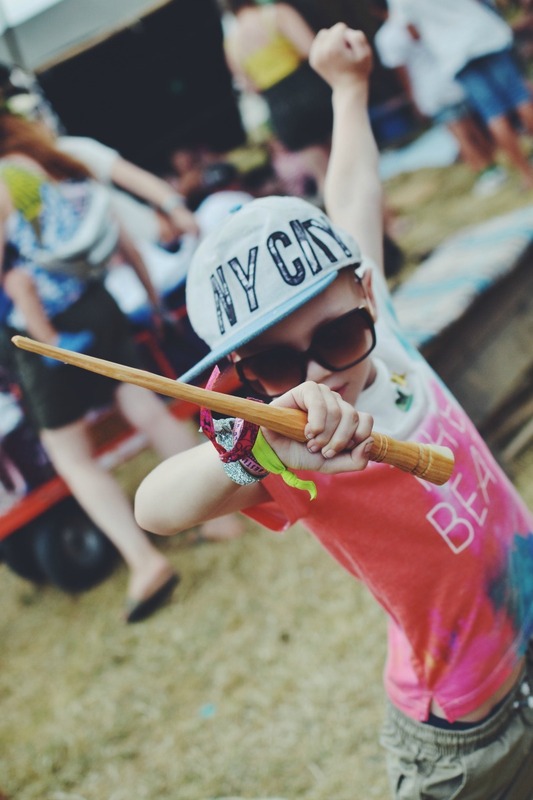 T will be four next year, which i think will be the best age to make a wand! M’s creations always look amazing. I’m glad you made it to Caravanserai (finally remembered how to spell it! ), isn’t it magical? we love the shows they put on. despite being cut short, we still had the best time. already can’t wait until next year!